This appears to be one of the earliest games released by Ramtek since the circuit board dates 1973 (Ramtek started the same year). 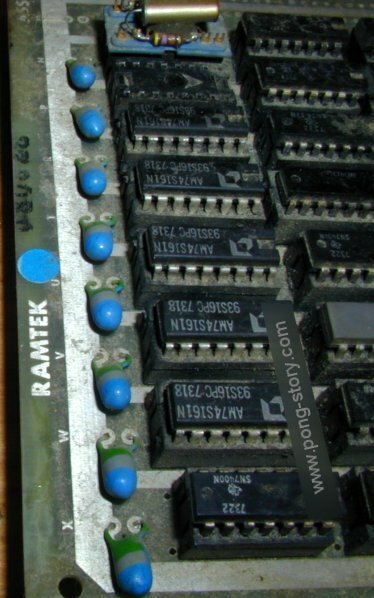 Flyers of early Ramtek games show the same type of small wire-wrapped circuit board. However, there is little information for this board. We could not determine the cabinet it was pulled off, nor we could test the board as one chip is missing (though its location could help as chips located near the crystal are most of the time clock dividers). 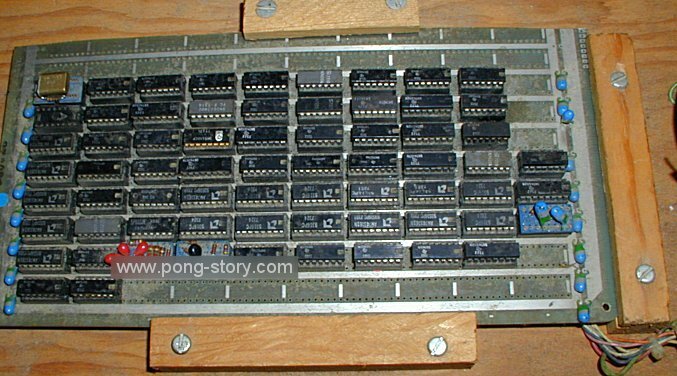 All we can say is that the game is played with two knobs like PONG games, and that there is only one reference on the board itself. We'll probably know more about this particular game once the missing chip will be replaced. 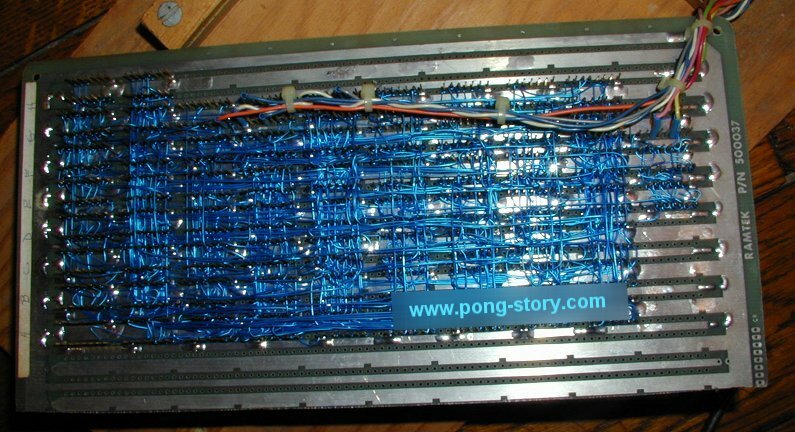 Circuit board (component side): a very compact design. Circuit board (solder side): hand wire-wrapped !!! Circuit board (solder side): close-up on wirings. One missing chip (probably a clock divider).